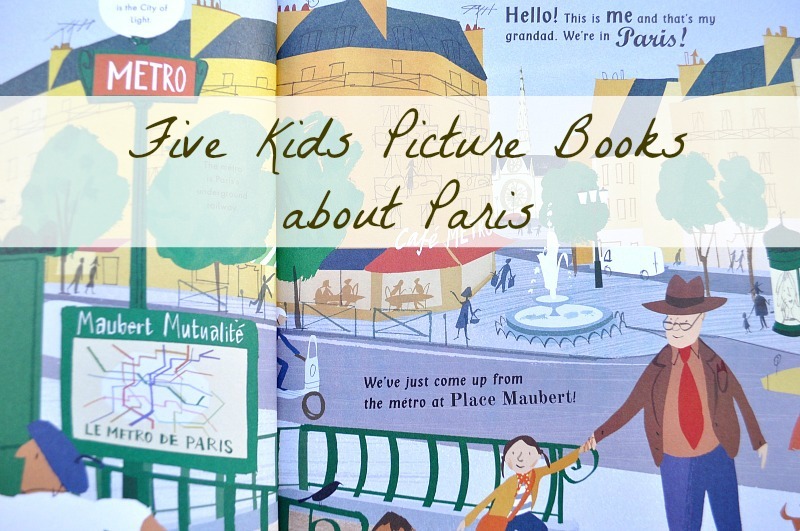 As you may know we love Paris, especially my kiddo, and some of his favourite picture books are those set in the city of lights. So you can imagine his excitement when I mentioned we might be going for a whistle stop tour in the not so distant future. 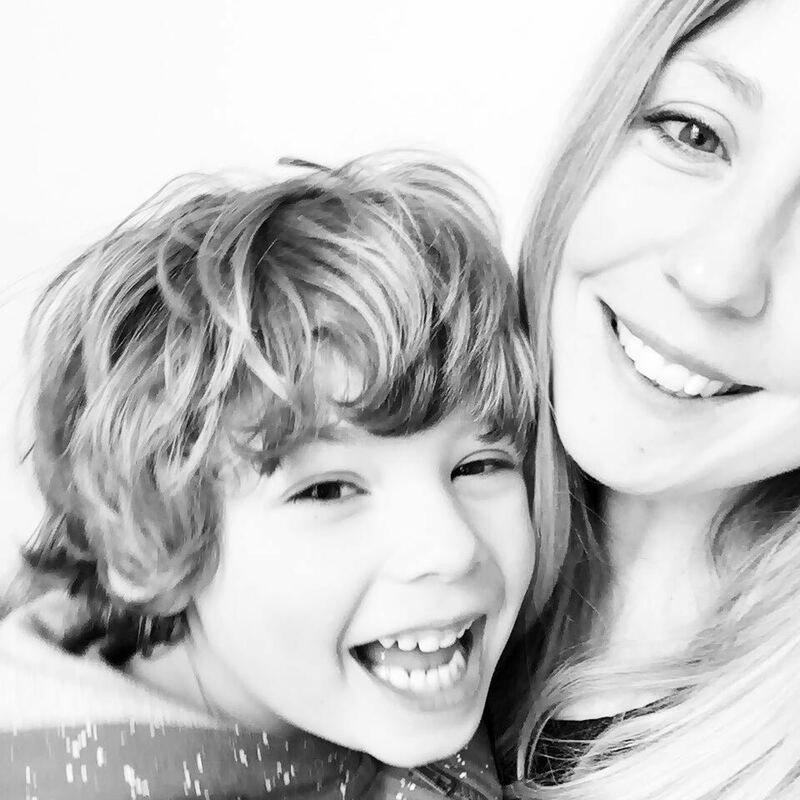 I was only reminiscing with friends at Blogtacular how wonderful it was to see his whole face light up when he first saw the Eiffel Tower at night. Mr Chicken Goes to Paris is both charming and quirky while unbeknown to tiny minds, educational. 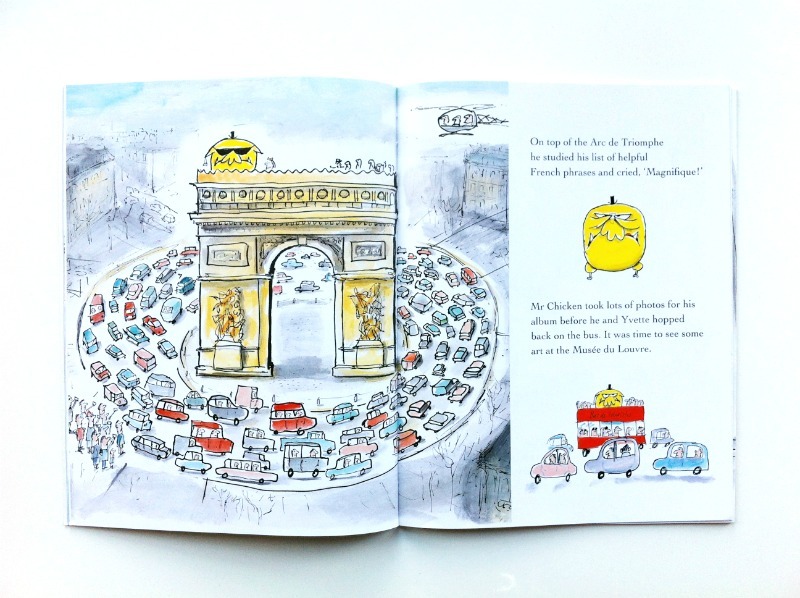 Discovering iconic landmarks such as the Sacre Coeur, Eiffel Tower, Musee du Louvre, Notre Dame and Palace de Versailles, Mr Chicken – or Monsieur Poulet – tests out some of his useful french phrases, while the citizens of Paris photograph the yellow monster that has taken the city by storm. A Lion in Paris is one of those books that the moment you see it, you know you must have it. 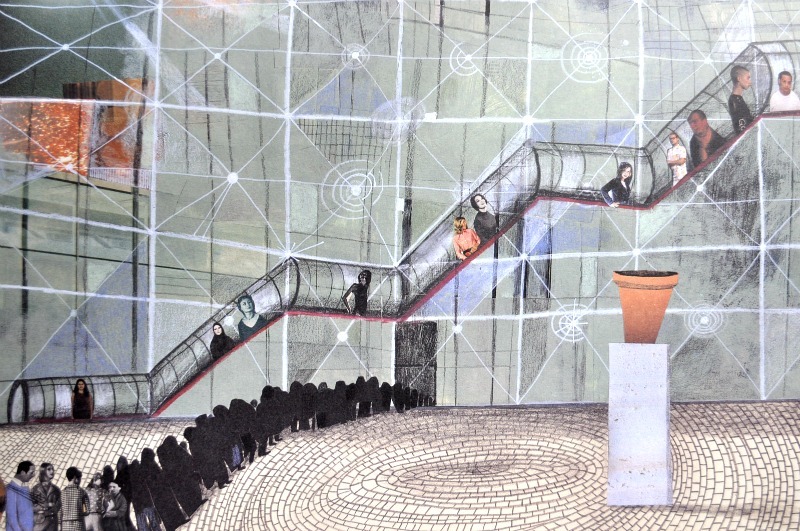 Its beautiful large format holds the stunning illustrations of multi-award winning author/illustrator Beatrice Alemagna. The story unfolds as a lonely lion, bored of his existence in the Savannah, travels to Paris for a different pace of life. The lion is disappointed as he blends into the blur of the Parisian backdrop and puzzled at the lack of stares or screams he roars out for attention only to be ignored. Feeling sad and alone he wanders the streets, visiting some of the iconic landmarks the city has to offer. Henri’s Walk to Paris is the story of a young boy who lives in Reboul, France, who dreams of going to Paris. One day, after reading a book about Paris, he decides to pack a lunch and head for the city. 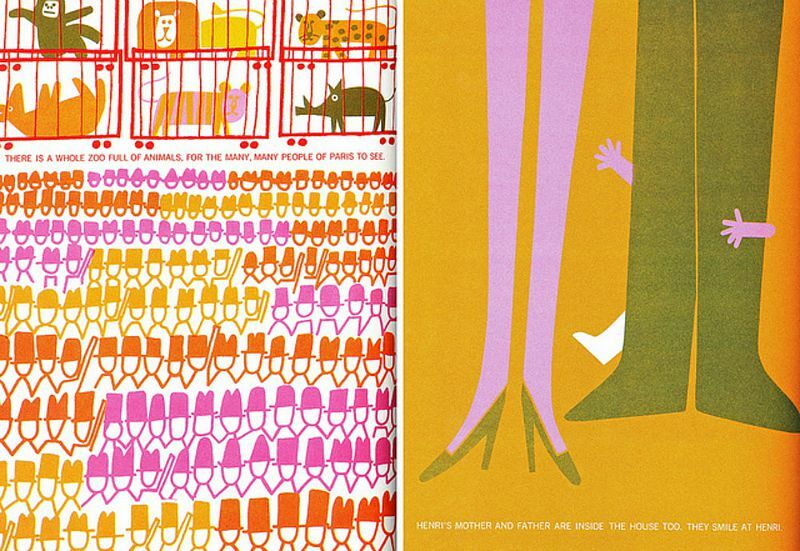 Published in 1962 and is the only children's book illustrated by the talented Saul Bass. 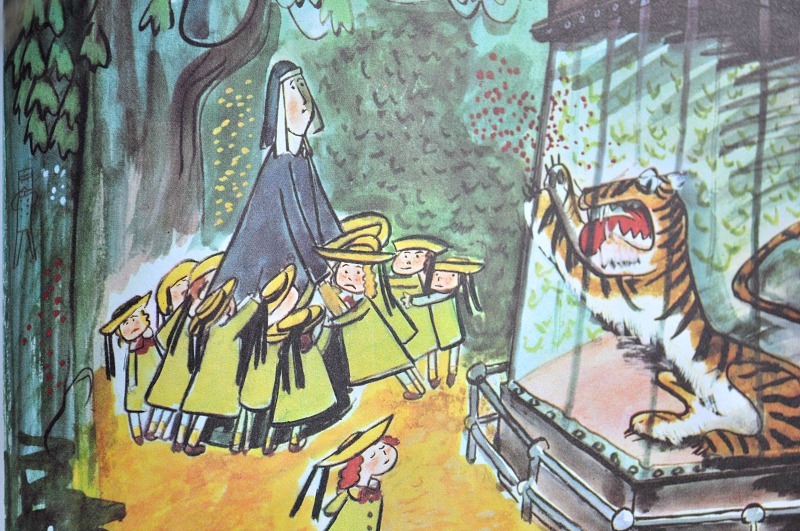 lived twelve little girls in two straight lines, they left the house, at half past nine, the smallest one was Madeline.' – who although small, is feisty and full of character. 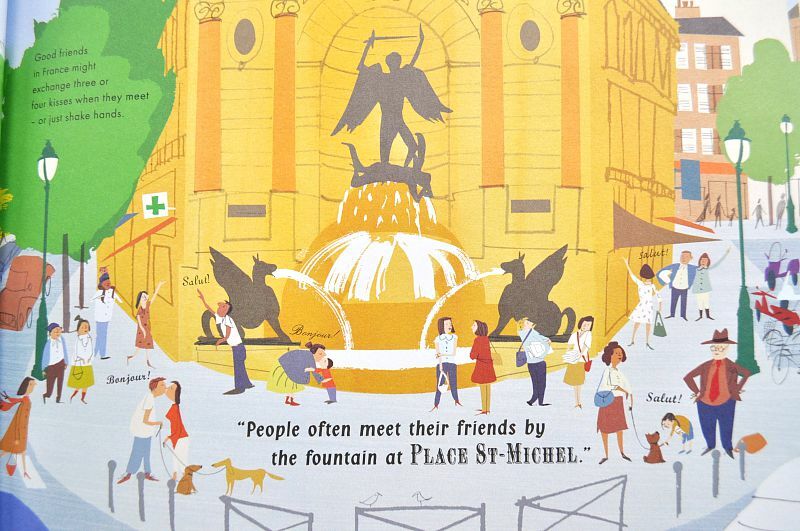 First published in 1939 this book captures the charm of Paris and children all in one. A Walk in Paris is fun and educational all rolled into one. 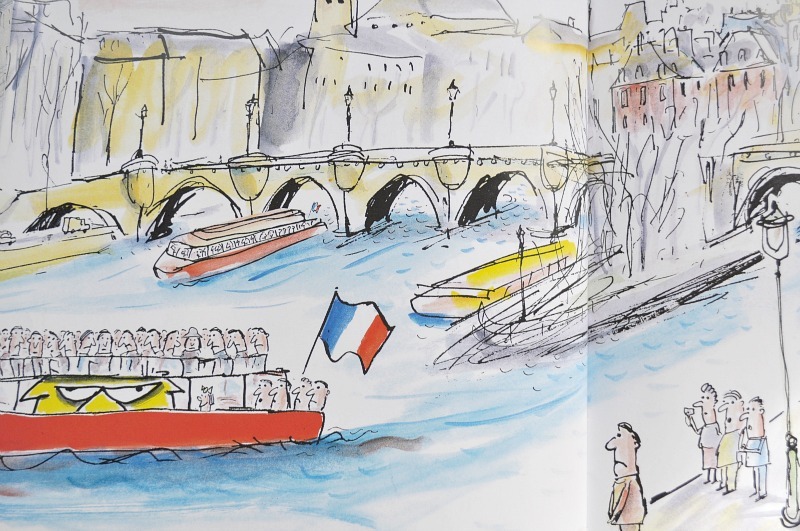 I love Salvatore Rubbino's series of beautifully illustrated books which lead you by the hand through the City of Lights from a child perspective. As they discover iconic landmarks and experience its culture and style, you really get a feel for the city and learn some facinating facts along the way. This is a great book to take with you and get little feet excited to explore the delights of Paris. 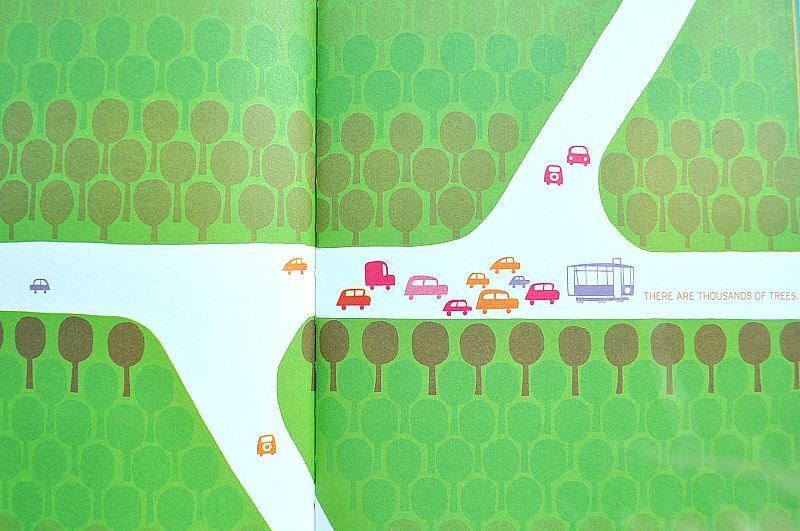 What are your favourite children's picture books that explore cities and are great for travelling? I have always wanted to visit Paris but sadly have never got the chance to! I think it is great that books are embracing their role to not educate children and prepare them for school but also to explore a world out of their bubble. These are so gorgeous - I took my daughter to Paris when she was about 18 months old and bought her a Babar book to look at first. She still has it and I loved showing her the page with the Eiffel Tower as we looked at it from the Trocadero.